Have you ever wanted to be part of the Rabbitohs’ team photo? Now is your chance to be part of it every day by bidding on this one-off Rabbitohs memorabilia item, the 2017 Team Photo Wall directly from ANZ Stadium. This giant team photo has a space in the front row for you to be seated and have your photo taken as part of the Rabbitohs team. 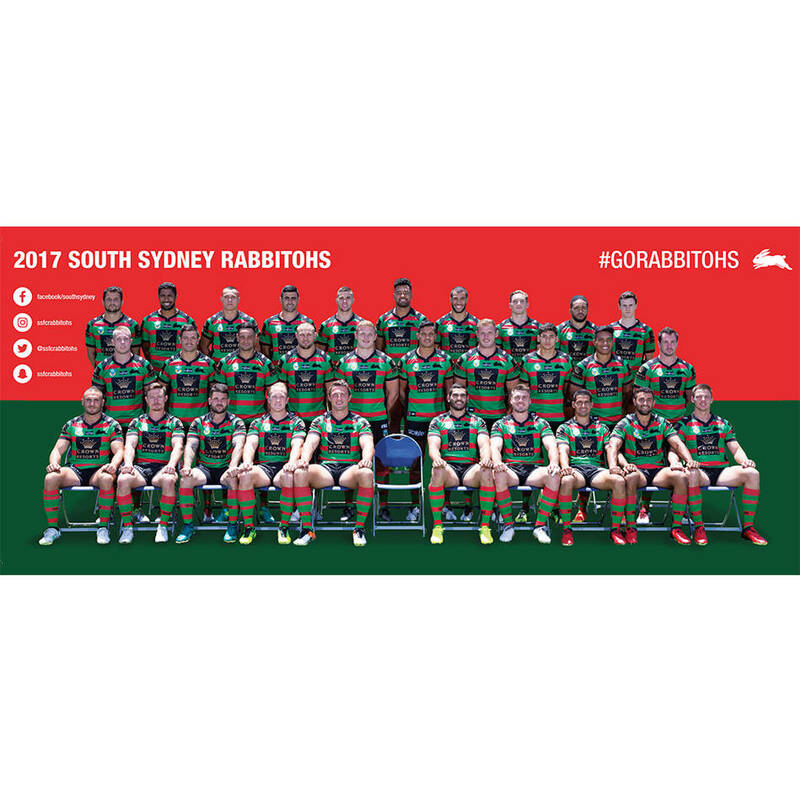 Perfect for a child’s play area, backyard, in a sport bar or pub, even an office reception area or display item, the Rabbitohs’ 2017 Team Photo Wall is truly a unique memorabilia piece.